High Strength Shaft Hardware functions similarly to standard ⅛” shaft hardware, just on a larger scale. 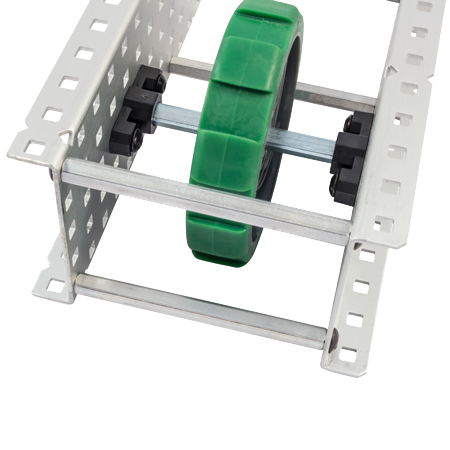 Use the High Strength Shaft Bearing to allow shafts to turn smoothly, the High Strength Shaft Spacer Kit to position objects on a shaft while reducing friction, and the High Strength Clamping Collar to hold everything in place. VEX EDR 2", 3", and 4" High Strength Shafts are actually designed about 1 mm shorter than their respective 2", 3", and 4" 8-32 Standoffs. 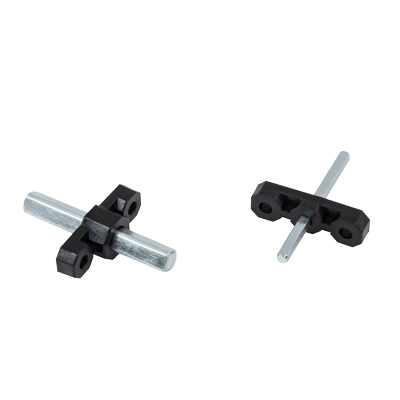 This means that if you use standoffs to hold together two pieces of metal, the High Strength Shaft can rest on High Strength Shaft Bearings attached to those two pieces without any cutting required. 1/4" High Strength Shafts are tougher, stronger, and ready for even the most stressful robotic applications. 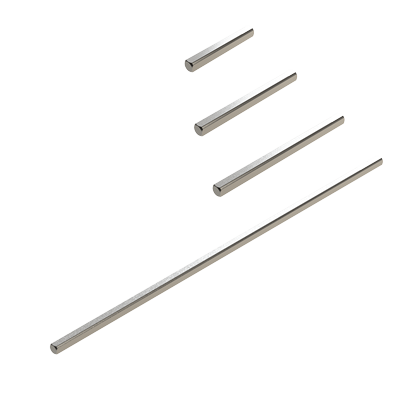 These thicker shafts are more resistant to both twisting and bending fatigue, meaning that you should have no fear of designing high-torque gearboxes or high-impact drivetrains. Four lengths: 2", 3", 4", 12"
Removable High Strength Shaft Inserts for High Strength Gears and some wheels that allow for versatility in user application. Switch from a driven gear (square hole) to a free spinning one (round hole) in seconds. The High Strength Shaft Bearing is a larger version of the Bearing Flat that is designed for the 0.25" High Strength Shafts. VEX EDR 2", 3", and 4" High Strength Shafts are actually designed about 1mm shorter than their respective 2", 3", and 4" #8-32 Standoffs. 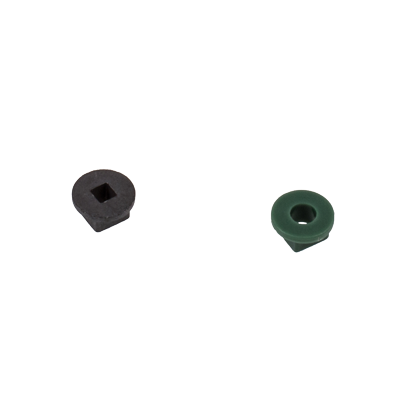 High Strength Spacers are designed for use on VEX EDR High Strength Shafts. Spacers are often used to properly position objects on a shaft or to reduce friction between rotating objects. 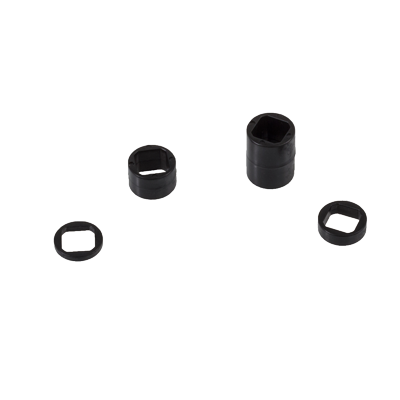 High Strength Shaft Collars are designed to fit onto High Strength Shafts. 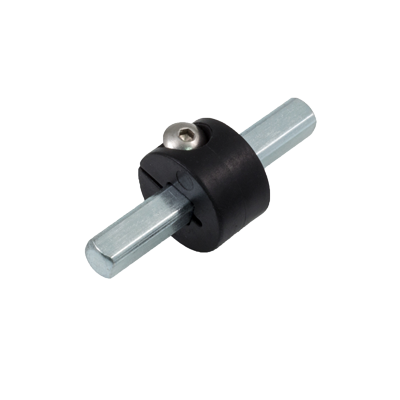 This clamping-style collar uses standard VEX EDR button head screws and nuts to maintain a tight lock without scratching or damaging the shaft. Compatible with HS Gears, HS Shaft Hardware, 3.25"
Compatible with HS Gears, 3.25" Traction wheels, 3.25"
Height - .0625", 0.125", 0.25", 0.5"